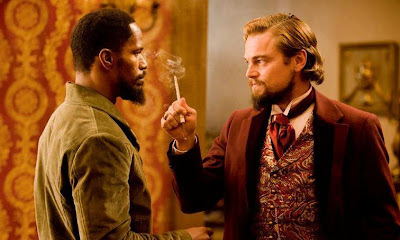 Following the outrageous success of his revenge fantasy, Inglourious Basterds, Quentin Tarantino now gives us another tale of redemption starring Jamie Foxx and Leonardo DiCaprio in Django Unchained. I will admit, I was a late comer to the Tarantino bandwagon compared to most other people that follow his work. Don't get me wrong, I thoroughly enjoyed Pulp Fiction the first time I saw it, but it wasn't until Kill Bill Volumes 1 and 2 that I really became a fan of his unique way of creating movies that simultaneously honor cinema's rich history while pushing the boundaries of what is creatively possible. If the name Django sounds familiar to you, that's because the man Mr. Foxx portrays in this movie is based on a character of more than 30 classic western films, at least the first of which was portrayed by Frank Nero in a film directed by Sergio Corbucci. Many people familiar with the original Django hold it in high regard and even equal to Sergio Leone's "Man with No Name" trilogy which starred a young Clint Eastwood. 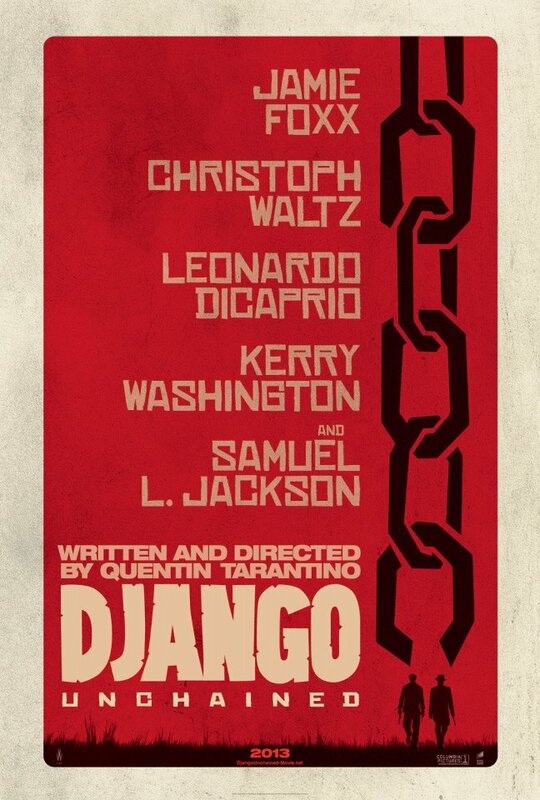 Django Unchained is Tarantino's way of honoring these movies as well as the other classic westerns that helped to influence his own film making style. Of course, he not only took on the western epic adventure film, but also chose to turn it into a stylized history lesson on the mid 1800's plantation era where the slave trade ruled the southern states. 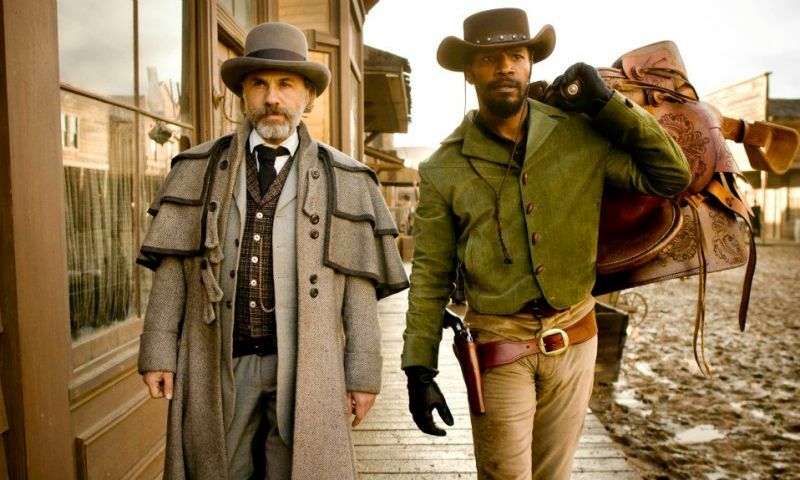 The movie begins with a bounty hunter named Dr. King Schultz (Christoph Waltz) who frees the slave named Django from his owners so that he can help him complete his next job. You see, Dr. Schultz has never before seen the three men he is tracking, but the newly liberated Django (The D is silent) most certainly does and, with this important knowledge, immediately becomes an indispensable ally. 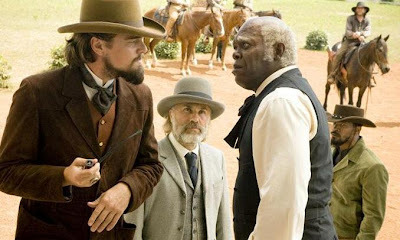 The two eventually become partners in the bounty trade and begin to amass a fair amount of wealth and prosperity even during a time when most every white person they come across would prefer to see Django in chains rather than making a living as a free man. Dr. Schultz eventually learns that Django comes from a tragic tale of lost love and makes a deal with him that will either see them pull off the biggest heist in plantation history or they will both end up dead...or worse. When it comes to Quentin Tarantino movies, you know of three things that will be true. 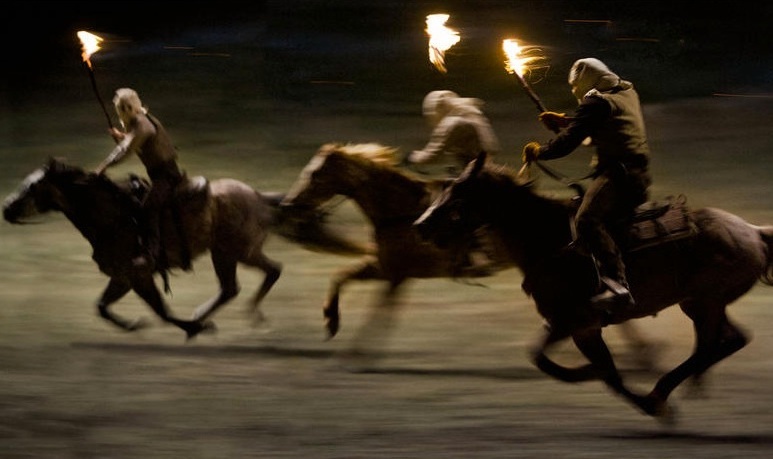 You will hear lots of profanity, there will be lots of blood, gunfire, and explosions, and you will see more than a few acting performances worthy of little gold statues. That being said, I have always felt that the key to any of his movies is the absolutely brilliant dialog exchanged between characters whether during what would otherwise be an ordinarily mundane moment, or in the middle of a heated exchange that could, at any second, ignite in to a conflagration of fists and sharp objects and the intensity of these scenes is nearly incomparable. As if having Leonardo DiCaprio and Jamie Foxx in the movie weren't enough, we get to see Christoph Waltz and Samuel L. Jackson, who have both been in previous Tarantino movies, do their thing as well. All four of these men shine in their roles and I would honestly have a hard time deciding on which one might stand above the rest. 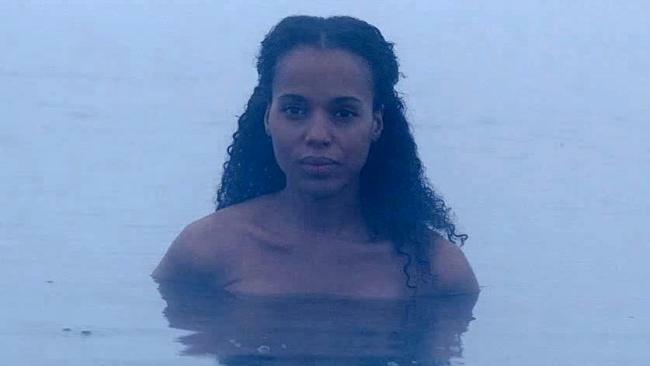 Throw in the beautiful and equally talented Kerry Washington as Django's wife Broomhilda Von Shaft and you have a heavyweight ensemble that would blow away any other competition. Believe me when I say that each of these fine actors is at the top of their game in this picture. As I was saying earlier, a Tarantino movie is guaranteed to have no shortage of foul language and, as you can imagine, a movie set during the time of slavery will be very heavy on just about every derogatory term aimed at black people that you could ever think of. If this makes you more than uncomfortable then this movie may not be for you, although I would ask you to consider how all of the language is used in context and character and the dialog seems genuinely true to the time period. Yes, its excessive, but it never feels gratuitous or out of place. You want to know what it was like back in the mid 1800's, well this is about as real as it gets and I would have to say that the imagery put on screen is far more graphic than any language that is used. As usual, Quentin pulls no punches when it comes to bloodshed and just about any form of violence you can think of, but he also somehow manages to keep it from becoming absurd by placing it all in a frame of mind that can either be devilishly humorous or downright scary depending on the moment. This tale of redemption, revenge, and revisionist history will pull you in from its very first moment on screen and you will find yourself captivated by a cast of characters who are constantly trying to get the upper hand over one another. What makes this movie work so well is Tarantino's passion for film and, like all his other projects, Django Unchained is at its best when you can feel the words from his screenplay leap on to the screen in a way that no one else could ever present them. If you love movies like I do, then you will have no choice but to enjoy and appreciate this movie for the fine work of art that it is. It is truly entertaining in so many ways whether you are a fan of intense action, brilliant acting, or beautiful cinematography, Tarantino throws it all at you and leaves you exhausted from the experience. This, my friends, is what going to the movies is all about. Go see Django Unchained. Hmm. Still not a Tarantino fan. Maybe when it comes out at redbox.